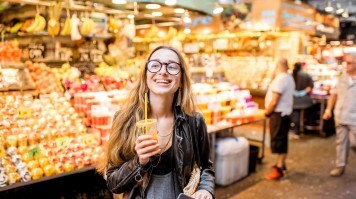 Customize your trip with a local travel expert in Spain. For some, Spain stands for sea, sand and sun. Whilst it can easily live up to this stereotype, Spain’s diversity far surpasses this simplified notion of what the country is all about. The long ribbons of sandy beaches decorating Costa del Sol and Mediterranean islands are as Spanish as the snow-capped Sierra Nevada Mountains or the dramatic Pyrenees in the north. The spiritual Camino de Santiago and Semana Santa are balanced by the rowdy festivities of bullfighting, the Carnival and La Tomatina. The zest for good wine is answered by the delicious Asturian cider. And the splendid historical monuments and palatial architecture stand side by side with modern structures like Bilbao’s Guggenheim and Valencia’s City of Arts and Sciences. To truly understand Spain is to immerse yourself in its complexity and stretch beyond the temptation of its pristine beaches and decadent sun loungers. Let yourself be inspired to plan a uniquely diverse trip to Spain that promises to bring you fond memories for years to come. Spain cuts across three different climate zones, which means methodical planning is an important part of any travel plan. As a general rule, springs and autumns are best times to visit, avoiding the unpleasant winters and punishing heat of summers. Spain is full of breathtaking places so it can be difficult to decide where to go. 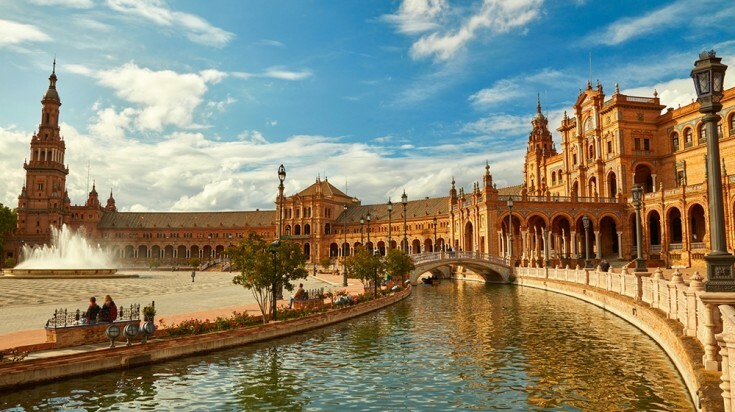 Here are top five destinations you must see when planning your first trip to Spain. 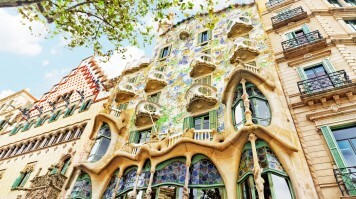 Barcelona with its iconic Gaudi structures is a must-see for any traveler. Sagrada Família might take the limelight, but Gaudi’s stronghold doesn’t end there. His first and last residential projects, Casa Vicens and Casa Milá, are both worthy stops. So are the once controversial Casa Batlló, the Parc Güell with its magnificent views over Barcelona, and many more. But Barcelona’s history reaches way further back. The town is dotted with Roman-era reminders harmoniously intertwined with gothic structures and crowned by the infamous La Ramblas. 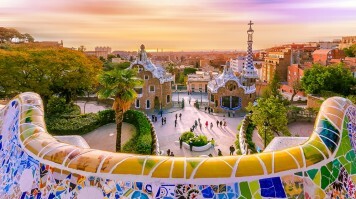 True to its vibrant reputation, Barcelona also boasts excellent restaurants, art museums, galleries and insatiable round-the-clock nightlife. Granada was the last stronghold of the Spanish Moors and their legacy still lives on today. 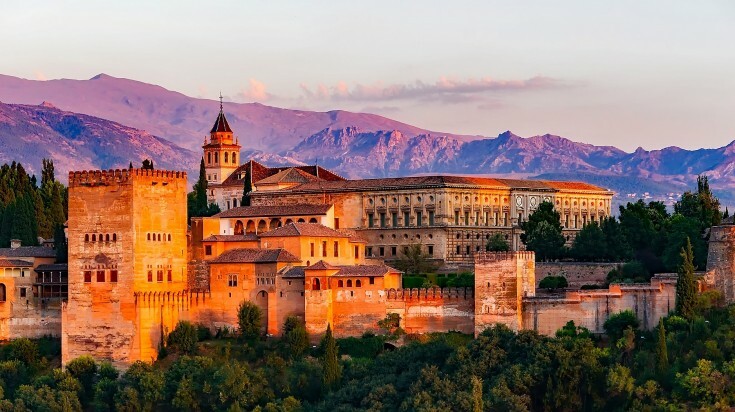 From the magnificent Alhambra perched high up on the hill to the arched house entrances, spacious plazas, fragrant spice stalls and colourful souvenir stalls stocked up with intricate mosaics, Granada’s history is palpable on every street corner. Looking beyond its architecture, the beauty of Granada is accentuated by the picturesque backdrop of the Sierra Nevada Mountains dominating the skyline. And when you get tired of exploring the city, take a rest and indulge in Granada’s tradition of free tapas with every drink. Madrid might feel overshadowed by the mighty Barcelona, but skipping this cosmopolitan superpower would be skipping a major part of the Spanish way of life. That is not to say that Madrid lacks historical monuments and architectural landmarks. The baroque Royal Palace and the spacious Plaza Mayor lined by arched walkways testify to this. But to experience Madrid, one must let himself be inspired by the Madrilenos. Stroll through the stylish boulevards, admire the works of masters in copious museums and galleries, indulge in the plentiful culinary delights and dance the night away in one of the perpetually open nightclubs. Only then you will be able to say you’ve truly lived Madrid. 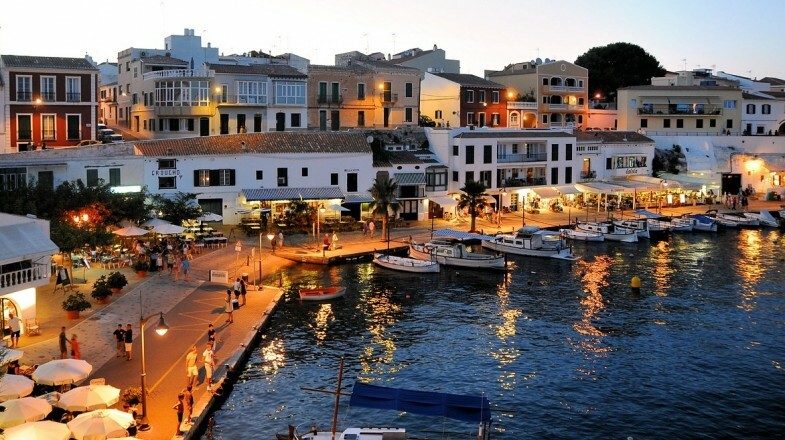 Dominating the Spanish islands are the Mediterranean Balearics and the Atlantic Canary Islands. 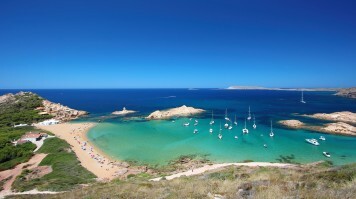 No trip to Spain should go without visiting at least one of these archipelagos, sampling the island life, taking a dip in the sundry natural wonders and savouring the beach culture. 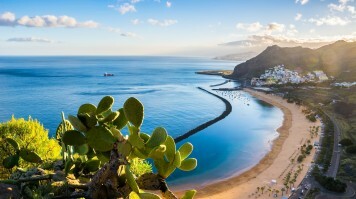 Anchored near the coast of Morocco, the mild-weathered volcanic Canary Islands sport dramatic landscapes studded with moon-shaped beaches, rolling sand dunes, historical villages and numerous hiking trails. The Balearics, comprising of Mallorca, Menorca, Formentera and Ibiza, brim with of traditional farmhouses, abandoned picture-perfect coves, fresh Mediterranean cuisine and the legendary party-life epitomised by Ibiza. Frequently called one of the most underrated parts of Spain, the Picos de Europa are straddled between Asturias, Cantabria and Castilla y León. Its razor-sharp limestone peaks offset by the deep canyons are by no means the highest in Europe, but they surely provide one of Europe’s most picturesque mountain scenery and trekking ground. 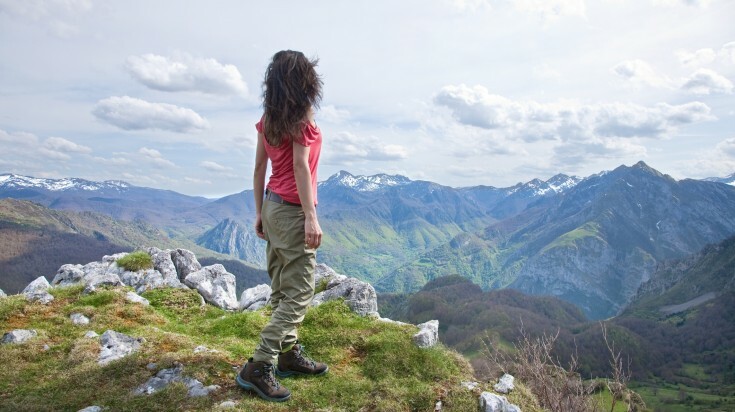 Unlike Spain’s famed beach resorts and city destinations, the Picos de Europa is for those not afraid to see the real Spain in its untarnished beauty. Ragged farmhouses, grazing animals, pristine lakes, unexplored caverns, heaving massifs and steep cliff sides will welcome those who dare to dream. 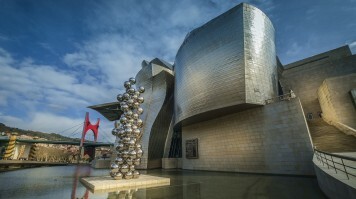 Set in the north of the Basque country, Bilbao is surrounded by beautiful natural landscapes and boasts a uniquely harmonious combination of old and new architectural wonders that coexist side by side. Nowhere is this more palpable than walking through the historical centre, passing buildings like the beautifully decorated, art nouveau Santander station before reaching Gehry's iconic Guggenheim Museum. 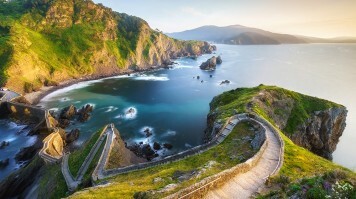 Bilbao's near-coast setting further provides easy access to picturesque locations like the Portugalete’s UNESCO Zubizuri gondola bridge and the Gaztelugatxe islet with its dramatic walkway immortalised by Game of Thrones. 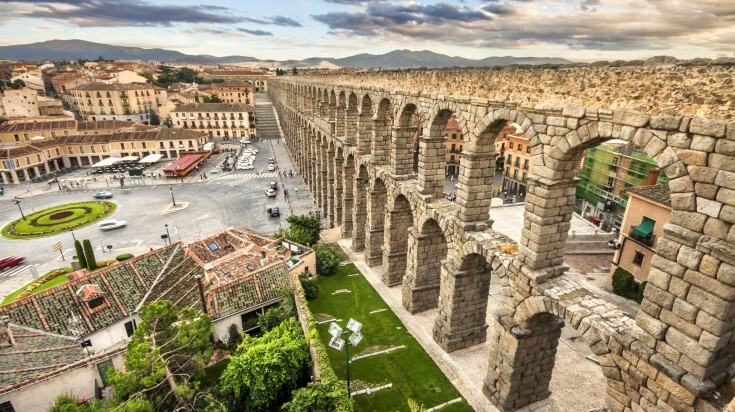 Few places are as universally picture-perfect as the UNESCO-listed Segovia. Its skyline is dominated by the multi-arched gothic-style Roman Catholic cathedral. But the unrivalled highlights are undoubtedly the fairytale-like medieval Alcazar and the 160 arches of the Roman mortarless granite aqueduct cutting through the old town. Once the sun goes down, the subdued pace of the city accentuates the magical history-ridden atmosphere. Although it is possible to visit Segovia on a day trip from Madrid, this cobblestoned gem easily deserves your attention for a full weekend. Ronda is a small town that makes a big impression. 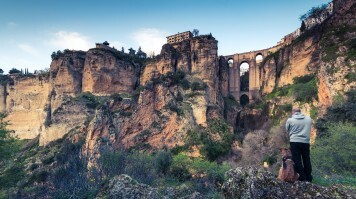 Dramatically set on top of the deep El Tajo gorge carved out by the Rio Guaddalevin, Ronda’s natural settings and whitewashed charm provide a welcome contrast to the big tickets of Andalucia like Seville and Granada. The grounding for its reputation as the ‘romantic city’ and the ‘city of dreams’ is easily understood as one approaches Ronda. Although Punte Nuevo is Ronda’s most iconic landmark, the impressively preserved Arab Baths, splendid palaces, oval shaped Plaza de Toros, sinuous streets, ample vistas and neighbouring bodegas collectively make Ronda a must-see place. 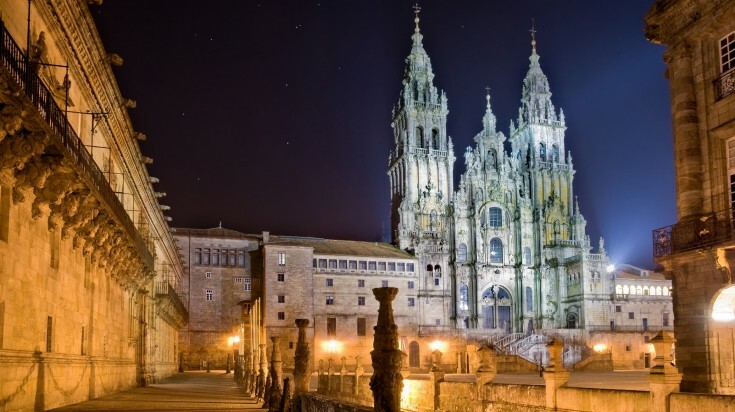 Europe’s most famous pilgrimage site, Santiago de Compostela, was reputedly built on the tomb of the apostle James. Annually, hundreds of thousands of pilgrims and other visitors flock to this site in Galicia, not discouraged by the near all-year-round precipitation. Although, many would argue that the rain only adds to the charm of the city by bathing the granite streets in a cover of shimmer. Known for its religious significance, Santiago’s attractions do not end there. Dotted around the picturesque old town dominated by the splendid cathedral are excellent eateries serving famous Galician seafood delicacies. Stroll the streets listening to the background sound of bagpipes. 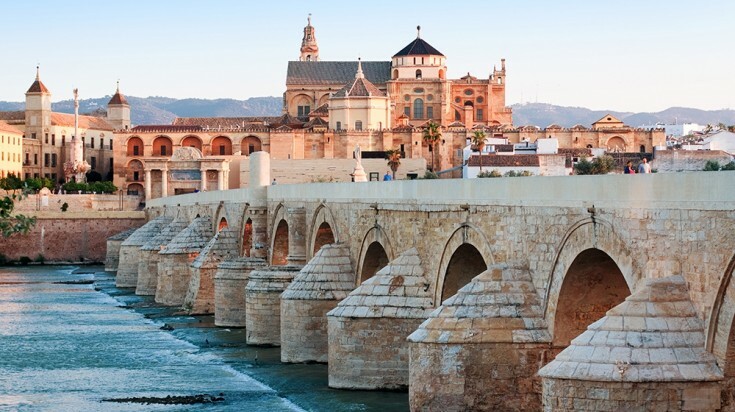 Cordoba’s glory as the capital of Islamic Spain and Europe’s biggest city more than a millennium ago is palpable within its walls. Aside from the hypnotic mosque, also know as the Mezquita, you can walk over the Roman Bridge, roam around the Palacio de Viana, marvel at the Alcazar de Los Reyes Cristianos or take a stroll through the Jewish quarter. Despite its plethora of landmarks, Cordoba’s biggest charm lies in its narrow winding streets sprawling through the old town. Here you can admire the picture-perfect houses decorated with hanging flower pots, lush interior courtyards, tiled benches offering welcome rest and ornate iron balconies, gates and lamps painted in vibrant colours. Possibly the most famous Andalusian city, Seville will not leave you wanting. This cosmopolitan giant has managed to hang on to its charming allure. And being the biggest city in Andalucía, it has something for everyone. With the world’s largest Gothic cathedral looming over the historical centre, visitors are seduced to learn as much as enjoy and indulge. Flamenco shows, an inspiring food scene and pulsating street life take place amongst the plethora of historical monuments. Whatever you decide to do, don’t forget to pay a visit to the Real Alcazar de Sevilla, one of the most breathtaking royal palaces you are likely to see. One could easily spend months and still feel like they are uncovering previously unsuspected depths to this part of the Iberian Peninsula. More realistically though, two weeks should allow sufficient time to sample various aspects of this indulgent country and inform any future trips. 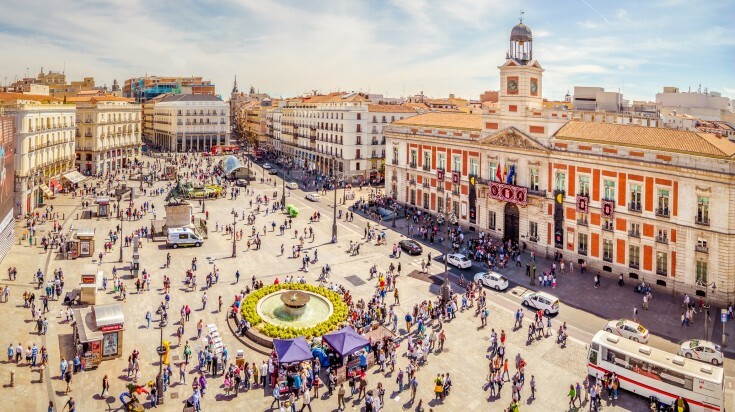 In two weeks, it is possible to dip your toes into the popularized beach life, discover some of the main landmarks in Spain’s prolific cities and still venture further afield to explore the great outdoors and discover some of Spain’s lesser-known treasures. Boasting an excellent tourist infrastructure, it is possible to explore Spain on almost any budget. For a mid-range traveler, USD 95 – 195* per day should cover all main expenses. 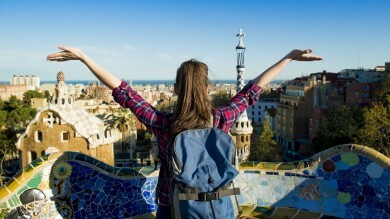 Take Holiday Packages in Spain or Go Solo? Spain is popularly a packaged holiday destination. For those who prefer to leave inevitable logistical challenges in hands of experts in order to focus on the finer sides of travel, there are plenty of organised holidays for different budgets to choose from. That being said, it is also an easily accessible country for those who want to explore it on their own. Spain’s public transport is well developed, although in some locations somewhat costly. Car rentals, especially during the shoulder and offseason, are affordable. This makes independent travel a viable option when planning a trip to Spain. It is needless to highlight the flexibility this mode of travel provides, especially when time is not an issue. The flipside, however, would be busy spells (when advance booking is a necessity), possibly large distances between individual target locations, which may require a combination of multiple modes of transport, and the surprisingly limited language skills of the locals (even in the hospitality industry and in key locations). Being party to the Schengen Agreement, US citizens can enter Spain without a visa for up to 90 days at a time. As fellow EU nationals, UK citizens can then enter Spain visa-free without any time limitation, regardless of the purpose. For other nationals, please check more details on a Spain travel visa at their tourism website. English is not widely spoken so learning some lingo or having a good translator will go a long way. Even with Spanish, many places in the country speak local languages and dialects like Basque, Catalan and Galician. Meal times are late, with lunch commonly served between 14:00 – 16:00 and dinner around 21:00. Restaurants open accordingly unless they cater predominantly to tourists. Many shops also close in the middle of the day for a couple of hours, but they stay open late. Local and long-distance public transport is well managed and makes travel around Spain convenient and often inexpensive, although trains tend to be fairly pricey. Pickpockets can be a problem especially in hubs like Barcelona. Stay aware of your surroundings and keep valuables close to your body at all times. Online tickets should be purchased in advance when planning a visit to the main attractions like the Seville Cathedral and Real Alcazar to avoid long waiting times and potential disappointment in case of a not unusual sellout. Many museums, historical sites and galleries offer free admission time slots e.g. the Seville Cathedral is free on Mondays. Do your research to save pennies. Far surpassing the stereotype of winding sandy beaches and permanent sunshine, Spain is a treasure trove of diversity. Feats of modern architecture harmoniously positioned next to ancient monuments, rich and vibrant culture testifying to the passionate nature of locals, exquisite cuisine, breathtaking natural landscapes, dreamy trekking and mountaineering opportunities, world-class art museums and galleries, and the list goes on. Spain truly has it all! *Note: Prices are as of February, 2019. Travelling to Spain? Chat with a local travel specialist in Spain who can help organize your trip. 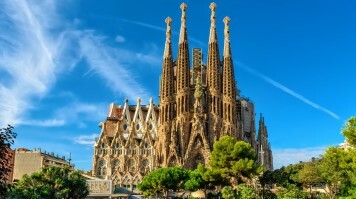 La Sagrada Familia Tour: Is It Worth It?